KAIST KI-ITC 증강현실연구센터(ARRC)에서 제39회 증강현실연구센터 콜로키움을 아래와 같이 개최하오니 많은 참여 부탁드립니다. One of the industries that has received the most attention in recent years is mobility. 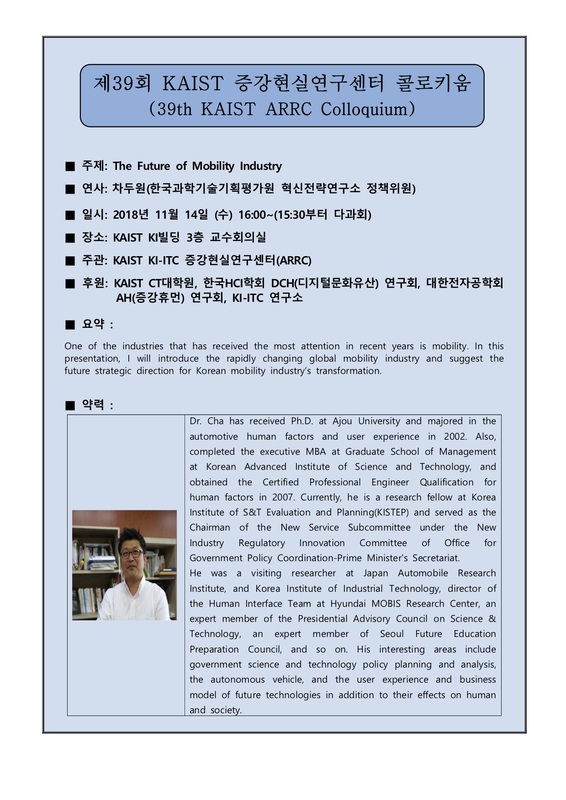 suggest the future strategic direction for Korean mobility industry’s transformation. **This lecture will be held in Korean. I apologize for announcing this information in Korean.